The shutdown will mean a loss of close to 1,000 jobs in the county in the next six months, and is certain to have a rippling effect on this economically fragile part of Eastern North Carolina with additional turkey growers in the area without contracts to grow turkeys. 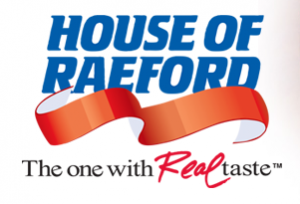 The job losses were announced Thursday by the House of Raeford, which said in a press release that the company is shifting to more ready-to-eat chicken products. A steady increase in the price of corn feed coupled with a decrease in interest from American consumers in turkey led to the decision to shut down the turkey plant. In its release, the House of Raeford indicated some of its turkey growers may transition to raising chickens for them. “We’re grateful to the employees and growers who have been an active part of our turkey operation and we are committed to helping each one of them during this transition,” said Bob Johnson, the House of Raeford’s CEO, in the press release. . The House of Raeford is the second-largest employer in Hoke County, behind the county’s school system, according to this 2011 report from the N.C. Commerce Department. Unemployment in the county was at 9 percent in December, close to the statewide unemployment rate of 9.2 percent. The closure of the turkey slaughter plant will happen in the next four to six months and include the loss of 950 plant jobs, according to the company’s press release. An additional 30 positions in a turkey hatchery will also be eliminated, though the company said those workers will be offered jobs in the existing 400-employee cooking plant the company also operates in Raeford. If the lay-offs happen after July 1, as is expected, the unemployed turkey plant workers would be entitled to 12 to 20 weeks of unemployment benefits, instead of the six months of benefits the state previously allowed. The state legislature’s massive overhaul of the state’s unemployment insurance system, which was signed into law in February by Gov. Pat McCrory, seeks to repay $2.5 billion owed to the federal government for benefits paid out during the Great Recession. The new law also made 170,000 long-term unemployed North Carolinians ineligible for federal emergency extended benefits. The House of Raeford plant shutdown announcement Thursday also comes a week after the McCrory administration announced a major employer, MetLife, was moving to North Carolina, and bringing 2,300 jobs to Cary and Charlotte.The state pledged more than $90 million in incentives to lure the company here. The largest plant closure in the state occurred in 2003, when Pillowtex textile plant in Kannapolis shut down and 4,300 people lost their jobs. If only we weren’t using corn to power our autos, this may not have happened. Doug, ethanol plants aren’t diving corn prices. In fact high corn prices reduce ethanol production. Drought last year in the mid-west and reduced yields cause a rise in price. Simple supply and demand, if supply is reduced, and demand is constant, higher prices ensue. If supply is constant and demand increases, higher prices follow. If supply increases and demand is constant, prices fall. And well you get the drift. My home town of Rockwell City, Iowa is called the Golden Buckle on the corn belt, my cousins and most of the people I grew up with farm, so by default, I probably know more about corn and soy bean production, hogs and cattle than any non-farmer has a right to know. If only you could back up your snarky neo-con statement with one that contained some facts. I’ll give you credit for being consistent with your spin. Demand from increasingly subsidizing ethanol is what is driving the price up. Using a food source to power autos is also remarkably dumb as well. Diverting limited supply from the correct intention to a “politically correct” use is what is. And this is not about corn so your straw man example does not apply….basic macro-economics is what you lack knowledge of, at least in the way you think your argument supports you, but really supports my argument more. Thanks for the help! Funny , but House of Raeford cited the amount of corn going to ethanol (31%)as the main driver in corn prices along with overall higher commodity prices as a result of Obama cheap dollar policies.They hardly mentioned the drought. Esmay hardly qualifies as an expert in anything , much less economics. Here is an older story that also supports supply and demand….and contrary to expert esmay. Two neo-cons spewing ideological nonsense, don’t let actual facts get in the way of your “facts”. Doug, you cited a story from 2011, the drought that reduced yields was last summer, hardly applicable. david, it is even more applicable, when you are diverting such a crucial food source for an inefficient use you are then in a bad situation when something like drought happens.